Byrd Insurance Agency can help you with competitive rates for all drivers. On average, people spend more than 15 hours per week in their cars. That is an awful lot of time to spend on the road without the right coverage in place! Fortunately for Georgia residents, Byrd Insurance Agent can help solve your problems by meeting your needs and answering your questions. Byrd Insurance Agency can be the answer to your insurance problems. 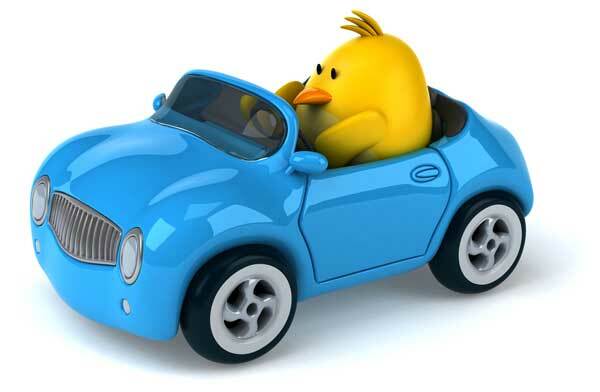 Choosing the right car insurance for your vehicle is as easy as ”an early Bird getting the worm”. Let us prove it to you! Automobile Liability consist of bodily injury and property damage coverages, this is the coverage that the insurance carrier pays for damage you do to other people. The limit depends on what you choose. Call your local Byrd Independent Insurance Agent; we will help you determine what limits best meet your needs, so your nest does not get bombarded by a flock of Angry Birds after an accident. Comprehensive coverage covers your vehicle in case of a fire, theft or vandalism damage. If you happen to hit a flying bird that's covered under comprehensive, but please try to be kind to our feathered friends. Calling your local Byrd Independent Insurance Agent will help you determine what deductibles best meet your needs. Collision coverage covers your vehicle if you collide into something. Let’s say for instance, if you hit another car, a pole, a sign or even a chicken coop. Your local Byrd Independent Insurance Agent will help you determine what deductibles best meet your needs. Contact us today! At the Byrd Insurance Agency, we make it a point to provide the right solution. In order to design an auto insurance policy that protects drivers from the worst case scenario, we take the time to get to know YOU and YOUR needs. For additional information about Uninsured Motorist, Medical Payments, Rental coverage, Towing, and much more contact you local Byrd Insurance Agent. Helping families with teen drivers maximize savings by updating and/or adjusting account information regularly. Just like when a baby bird leaves the nest we try to help you with your teens as they fly solo. We will be glad to review your coverages before your premium dollars fly out the window. The very idea of a bird is a symbol and a suggestion to the poet. A bird seems to be at the top of the scale, so vehement and intense his life. . . . The beautiful vagabonds, endowed with every grace, masters of all climes, and knowing no bounds — how many human aspirations are realized in their free, holiday-lives — and how many suggestions to the poet in their flight and song!